To book golfing tee time on the Costa del Sol, nothing could be simpler than using our easy to use online booking system shown below. 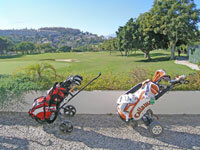 Most of the the golf courses available on the Costa del Sol can be booked directly here. There are no booking fees involved as our service is 100% free. Should you also be looking for accomodation in a villa or apartment whilst on the Costa del Sol then fill in the form below (please mention that you have booked golf through us) and we will write back to you with our list of suggested list of properties that may be of interest to you. Any of our properties are very close to, or actually on, golf courses and make ideal bases for the golf group. 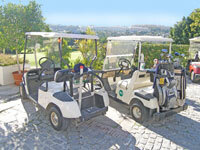 The Costa del Sol is often referred to as the "Costa del Golf" due to the number of first class courses there are here. We are also happy to book your airport transfers or car hire here too.